Sebastian's roads and bridges connected many distant places. His final bridge-building was to help men and women recognize their God-given dignity and destiny. Sebastian's parents were Spanish peasants. At the age of 31, he sailed to Mexico, where he began working in the fields. Eventually he built roads to facilitate agricultural trading and other commerce. His 466-mile road from Mexico City to Zacatecas took 10 years to build and required careful negotiations with the indigenous peoples along the way. In time Sebastian was a wealthy farmer and rancher. At the age of 60, he entered a virginal marriage. His wife's motivation may have been a large inheritance; his was to provide a respectable life for a girl without even a modest marriage dowry. When his first wife died, he entered another virginal marriage for the same reason; his second wife also died young. 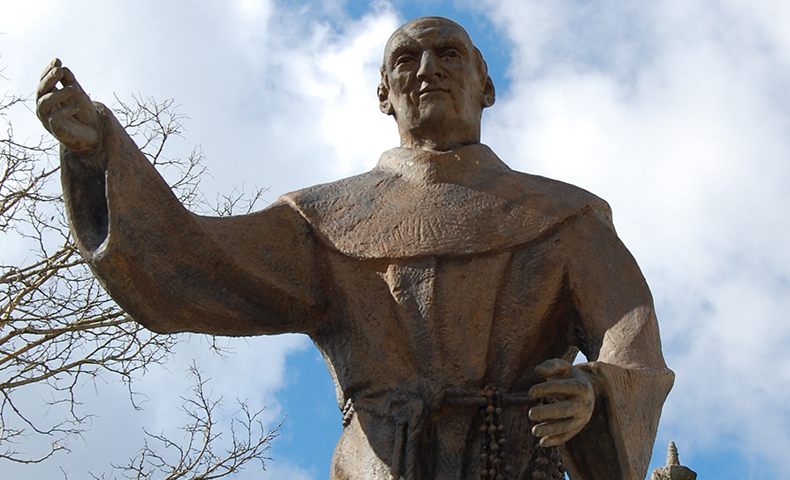 At the age of 72, Sebastian distributed his goods among the poor and entered the Franciscans as a brother. Assigned to the large (100-member) friary at Puebla de los Angeles south of Mexico City, Sebastian went out collecting alms for the friars for the next 25 years. His charity to all earned him the nickname "Angel of Mexico." According to the Rule of Saint Francis, the friars were to work for their daily bread. Sometimes, however, their work would not provide for their needs; for example, working with people suffering from leprosy brought little or no pay. In cases such as these, the friars were allowed to beg, always keeping in mind the admonition of Francis to let their good example commend them to the people. The life of the prayerful Sebastian drew many closer to God.